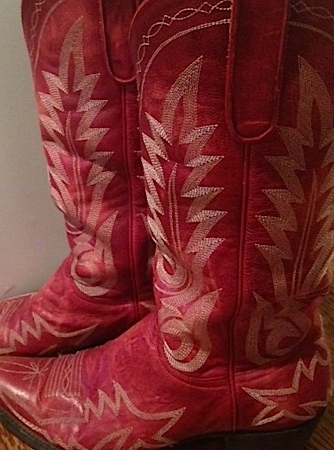 This entry was posted in A to Z Challenge, Discovering Me and tagged #atozchallenge, Austin, cowboy boots, flowers, husband, red, red boots, roses by Nicki. Bookmark the permalink. Awesome. I’ve always wanted to own a pair of cowboy boots. Love the red. Dropping by from A to Z. Get a pair! They’re life-changing :). Thanks for coming by. Just a few letters left! How did I miss this one?! Brilliant!